Are you a rider who feels nervous in traffic? 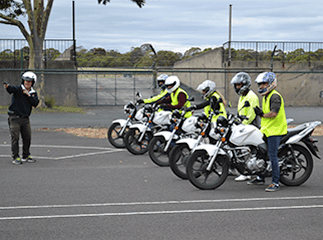 Maybe you’re a novice rider still riding on your learner permit, or you may be a licensed rider but have just never felt safe and confident in traffic. If you felt safer and more confident in traffic, do you feel that this would enhance your enjoyment of your riding? If you answered “YES” – then Ride-Tek MTA can help you to achieve that. Your coach will be talking to you via intercom while your riding – Immediate Feedback. 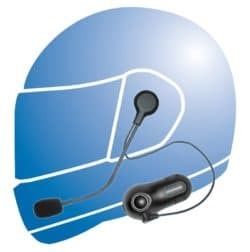 We can now offer “One-on-One” training with helmet intercoms with our owner and training development director, Mel Baker. 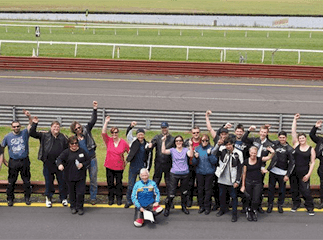 Mel is one of Victoria’s most senior and experienced motorcycle instructors and has been involved in developing and delivering motorcycle training courses for the past twenty years. 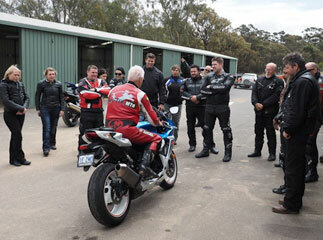 He is still a Vicroads-accredited trainer and has enjoyed many years of riding experience as a road rider and racer. Mel will get you out on the road on your bike with a helmet intercom (provided) and will patiently and systematically teach you all the defensive skills which will enable you to stay safe as a rider on today’s busy roads. He will also take you through crash avoidance strategies and help you to develop your observational skills to recognize hazards earlier and respond earlier. This training is available in 1 hourly, affordable increments to maximise your enjoyment, concentration levels and retention of the content. It is proven that concentrations begins to drop away after an hour or two. The training is available at a time that suits you – weekdays and weekends. So if you would like to increase your safety levels and your riding enjoyment just contact us via email give Mel a call direct to have a chat about your riding. He is here to help you. 1/ Ridetek believes that the Learner Permit Course as it stands could be improved by offering more on road training. Do you wish to increase your competence and confidence on the road? There is no better way to increase your skills and confidence than One on One Training. You will receive instant feedback. You will be the only student. Mel will only be focused on you and encouraging you as your coach.. This sort of training is the best way to increase your skill level rapidly. You will pick up skills that can take years to develop. In fact you may gain skills that some motorcyclists never learn. 2/ If you will soon be assessed for your license wouldn’t it be smart to undergo a couple of hours of training to assist you to overcome any weak areas of your on road skills? This kind of training isn’t just about you increasing your chances of obtaining your license. 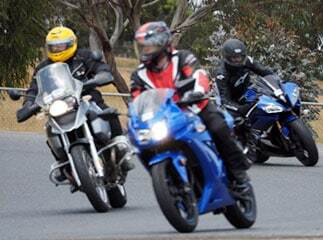 This training is about being a safer rider and allowing you to enjoy your motorcycling experience for years to come. 3/ Returning to the motorcycling fold? Too many times riders who have had a break get back into motorcycling by getting onto a big cruiser. If you have had some time away from motorcycling believe it or not you may be more than a bit rusty. Large capacity cruisers need particular skills to handle safely. To sharpen your skills a couple of hours with Mel can get you to where you are able to ride safely and enjoy yourself with confidence. Call Mel direct or call the office number. Due to demand RideTek now offers Private Lessons are becoming increasingly popular. Private One On One Motorcycle Training offers the rider undivided attention and obtains immediate feedback via intercom. Recommended to increase skills quickly.